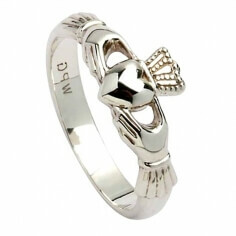 This men's Claddagh ring was inspired by the New York Chrysler building. 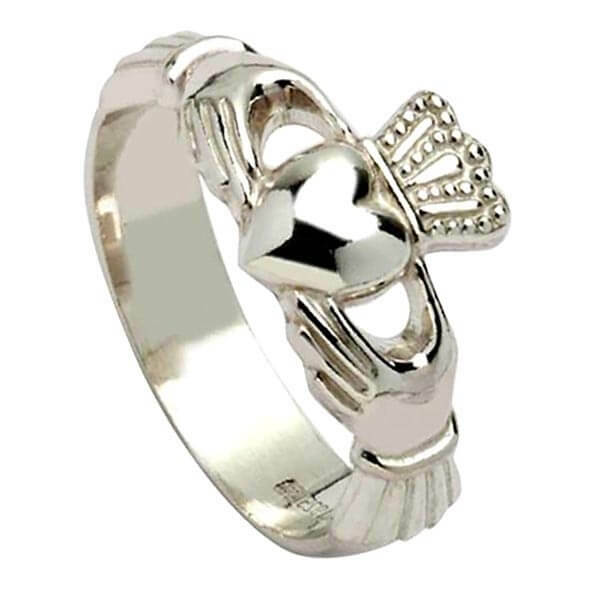 Handmade from the finest Sterling silver, it is a sturdy ring that stands out. 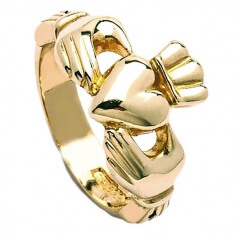 Two Trinity knots appear on band, making up each cuff. 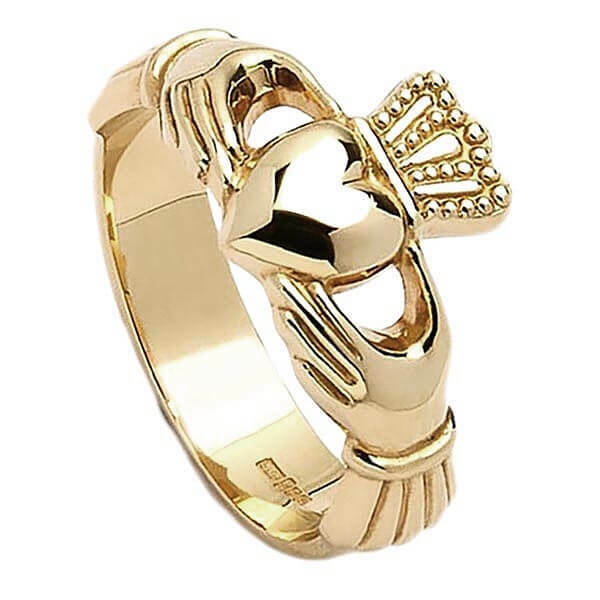 Claddagh symbolizes love, loyalty and friendship. Shipped from Ireland in a luxurious box.